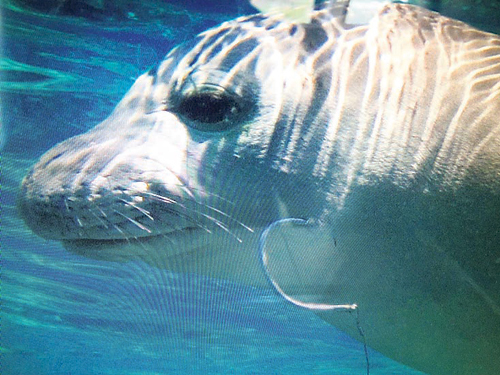 State conservation officials on Maui are looking for an injured Hawaiian monk seal with a fishhook lodged in its neck. Star-Advertiser. Two endangered Hawaiian hawks were found wounded on the Big Island after apparently being shot with a pellet gun, and federal wildlife officials want to know who is responsible. Associated Press. The Missile Defense Agency and US Navy sailors completed a successful test of a missile defense system by destroying a target launched in the Pacific Ocean. Hawaii News Now. Hawaii isn't at the bottom of the list anymore when it comes to voter turnout, according to a new study. West Virginia now occupies that spot. Civil Beat. Hawaii’s unemployment rate dropped to 4.9 percent in April, the state’s lowest rate since October 2008, officials said Thursday. Associated Press. State legislators earned some decent grades for the session that ended last week, as much for what they didn’t do as what they passed. Pacific Business News. 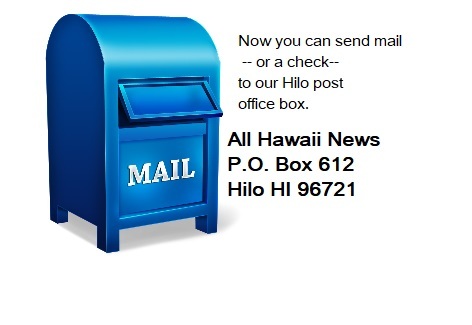 Nearly two weeks after University of Hawaii President M.R.C. Greenwood announced she would be retiring in September, the university’s Board of Regents is deciding the best way to go about looking for her successor. Star-Advertiser. The University of Hawaii Board of Regents spent at least an hour and a half meeting behind closed doors in executive session Thursday afternoon to discuss the departure of UH President MRC Greenwood and efforts to find her successor. And the only thing the Regents' leader could say for sure afterwards was that none of the regents wanted her job. Hawaii News Now. It was the first meeting since MRC Greenwood announced her retirement, and the first chance for board members to talk about a replacement. It began with a call to look for a good communicator in our own back yard. KITV4. Hawaii vehicle registrations were up 9.8 percent in the first quarter of the year, besting the 8.7 percent national figure. The forecast of 45,750 sales for the year has brightened from a record annual low of 32,668 vehicle registrations in 2010. Star-Advertiser. July 1 the Hawaii Public Housing Authority begins enforcing smoking restrictions at its 85 properties. From then on smoking will only be allowed in designated areas. Hawaii News Now. The 15-member Board of Regents gave unanimous approval Thursday to plans to retire a $13 million accumulated net deficit, allow the University of Hawaii athletics department to award scholarships to out-of-state athletes based on in-state rates, and receive help from the Manoa chancellor’s office in paying staff salaries. Star-Advertiser. The University of Hawaii athletic program will have its $13-million dollar accrued deficit absorbed by the Chancellor's office at the end of the fiscal year, June 30, following a unanimous vote by the schools Board of Regents Thursday. Hawaii News Now. The UH Board of Regents agreed to give the Athletic Department a fresh-start, zeroing out millions in debt after sports lost money for years. But KHON2 found that will not be a one-time cost to the campus — because sports will continue to rely on operational subsidies. The state tax director assured transit officials Thursday that the city’s rail project, which relies heavily on tax dollars generated on Oahu, will receive its fair share even if the cash does not arrive in steady amounts. Star-Advertiser. Former Hawaii Gov. Ben Cayetano and other plaintiffs in a federal lawsuit that aims to stop Honolulu’s rail project filed their opening brief in their appeal to 9th Circuit Court of Appeals. It’s 3,785 pages with attachments. Civil Beat. Questions about a controversial North Shore development have kept Honolulu Mayor Kirk Caldwell’s campaign chairman from sitting on a city land use board. Civil Beat. The number of Oahu’s homeless people is growing at a higher rate than last year, and an important metric, the number living on streets instead of shelters, rose 11 percent, according to the latest Homeless Point-in-Time Count. Star-Advertiser. For as long as we can remember, Chinatown has been notorious for drugs, homelessness and filthy streets. Some claim nothing has changed–and that it never will. But many Downtown merchants and workers say things have gotten markedly worse starting in January of this year, and key government officials are pushing for change. Honolulu Weekly. Hilo businessman Ken Fujiyama and Ken Direction Corp. have been ordered to pay almost $10.7 million to a North Carolina bank holding a mortgage on the Naniloa Volcanoes Resort. Tribune-Herald. Locally, 16 of the 34 fatal crashes that resulted in 38 deaths on Hawaii Island roads in 2012 were attributed to alcohol-impaired driving, according to Hawaii Police Department Traffic Services Section Sgt. Robert Pauole. That equates to nearly half — 47 percent — of fatal crashes here having alcohol as a contributing factor. Sen. Josh Green, D-Kona, Ka‘u, said he plans to bring legislation before the 2014 Legislature to reduce the legal limit in Hawaii to 0.05. West Hawaii Today. Geothermal relocation requests would be limited to existing homeowners under a bill before the Hawaii County Council. The bill, introduced by Puna Councilman Greggor Illagan, would limit eligibility for the program to anyone who owns a home near Puna Geothermal Venture within 90 days of the bill’s adoption. Tribune-Herald. State Department of Transportation officials are asking the public to write letters to the Federal Highways Administration in support of funding for the last section of the Saddle Road extension. West Hawaii Today. As media mogul Oprah Winfrey goes public in her magazine about her thriving Upcountry organic farm, some Maui farmers expressed mixed feelings about her farm's vision and whether they will have to compete with Winfrey's fame and fortune for a place in an already tough agricultural market. Maui News. 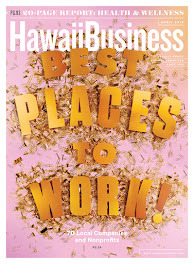 Guy Kaulukukui, senior vice president and Hawaii director of Bio-Logical Capital, said the company is "pleased and flattered" to be mentioned in the June edition of O, The Oprah Magazine that offers details about Winfrey's farm on Maui. Maui News. After three years and an estimated $15 million in funding by a state and federal partnership, almost all the upgrades to Ma'alaea Harbor are in place and operating. Maui Weekly. The Kalama'ula Homesteaders Association is anticipating a finding of no significant environmental impact for a project to build a new pavilion and restrooms at Kiowea Park, next to Molokai's historic Kapuaiwa Coconut Grove and about a mile west of Kaunakakai. Maui News. 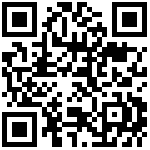 The Maui Solar Summit 2013 will be taking place on Friday, May 24 at the University of Hawaii Maui College campus. Maui Now. Kaua‘i Chief of Police Darryl Perry says that when a dismissed officer is ordered back by arbitration it presents a problem to the department. Garden Island. Study seeks solutions to Po‘ipu Road woes. Garden Island.